Our organic kumquats (or Chinese oranges) may look like tiny elongated oranges, but they taste like no citrus you’ve met before. Their paper-thin skin is sweet, and their insides are bursting with tart juice. Eat them whole, skin and all, for a gustatory firework – or cook into sour-sweet sauces and desserts. Why not try our recipes for kumquat compote or kumquat and baked ricotta pancakes. All parts of a kumquat are edible, but remove the seeds if you find them too bitter. Create a sharp, citrussy sauce to pair with richly flavoured meats such as lamb or duck, or toss halved kumquats straight into a spiced tagine. For dessert, top vanilla ice cream or pancakes with a kumquat compote (try saying that three times fast! ): simmer the fruits with sugar, fresh ginger, a cinnamon stick and a dash of sweet liqueur for 30 mins. 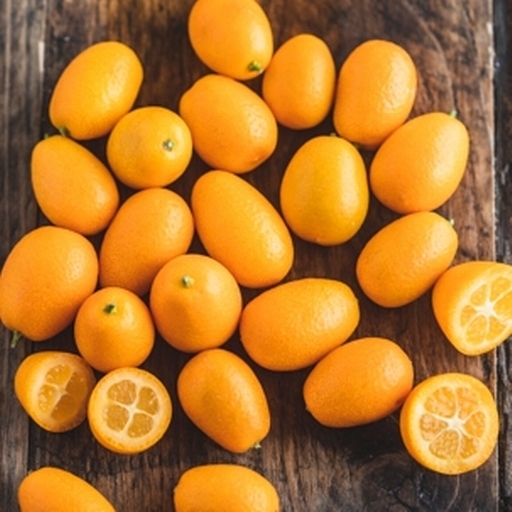 Kumquats can be kept in a cool room or the fridge for at least a week. These organic kumquats are grown by Enrique Vallejo and his son Juan on their small-scale organic citrus farm in the north of Spain, just outside Malaga. Their fields are abundant with grapefruit, oranges, clementines, lemons – as well as experimental new varieties. A few of us went over to Spain to meet Enrique and Juan, as well as other Spanish growers old and new – read all about it on our blog.